A delightfully illustrated gift edition with more than seventy-five best-loved rhymes. 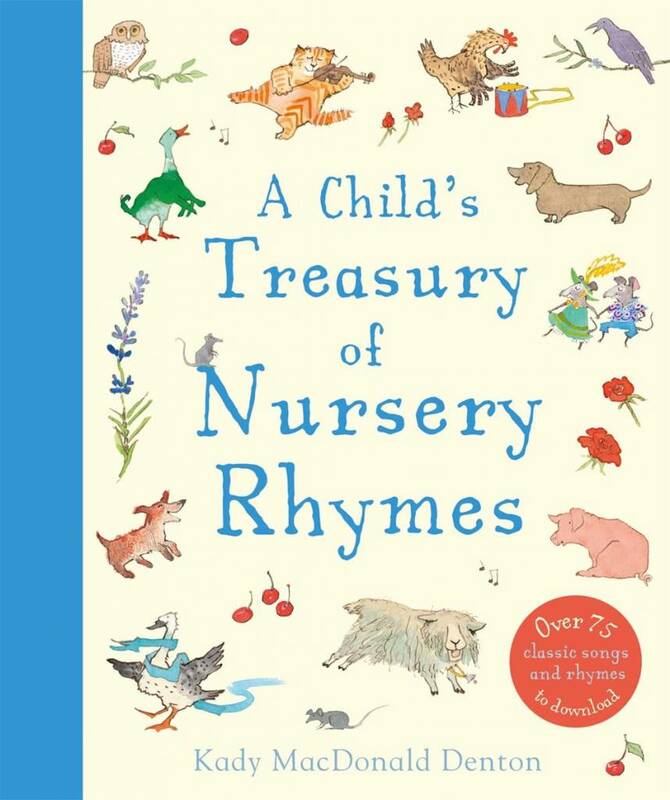 This delightfully illustrated contains more than seventy-five of the best-loved rhymes and songs of childhood, from soothing lullabies to schoolyard chants. Popular classics such as "Pat a Cake," "Humpty Dumpty," and "Jack and Jill" are joined by lesser-known rhymes and ditties from many different cultures. Kady MacDonald Denton's illustrations add liveliness and humor. Together, parents and children will enjoy sharing A Child's Treasury of Nursery Rhymes. 75 songs are available to download.